Promote your organization with a beautiful new brochure - Michelle Rogers, Inc.
Brochure for a newly-established investment firm. Services provided: Logo design, writing, graphic design and printing. Does your organization have a brochure? Or perhaps you do, but it’s outdated? 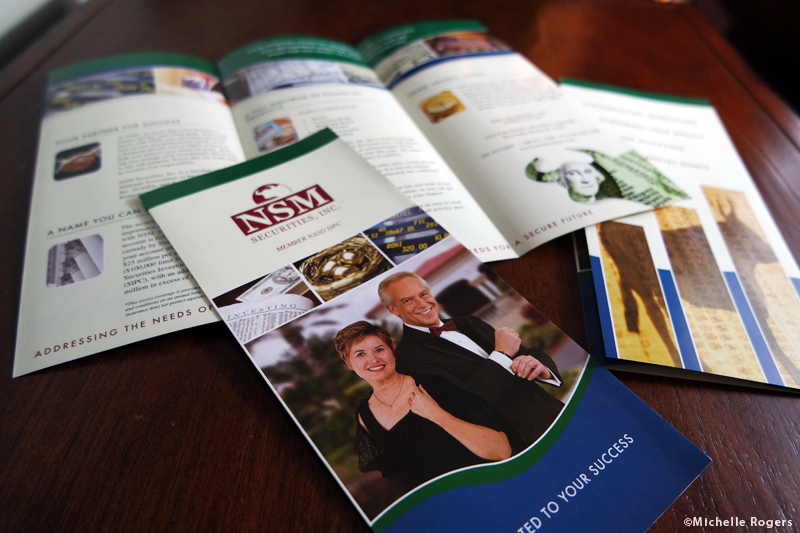 A professionally designed, high quality brochure is one of the best ways to effectively promote your organization and to connect with prospects. Your brochure is a salesperson that markets your products and services 24/7; or, helps a nonprofit tell its story and raise funds. And with the web and social media becoming more crowded by the day, a top-notch printed piece truly stands out. A brochure that you can hand out or mail is the perfect complement to your online efforts. But unlike online, a printed piece that you present is guaranteed to be seen. 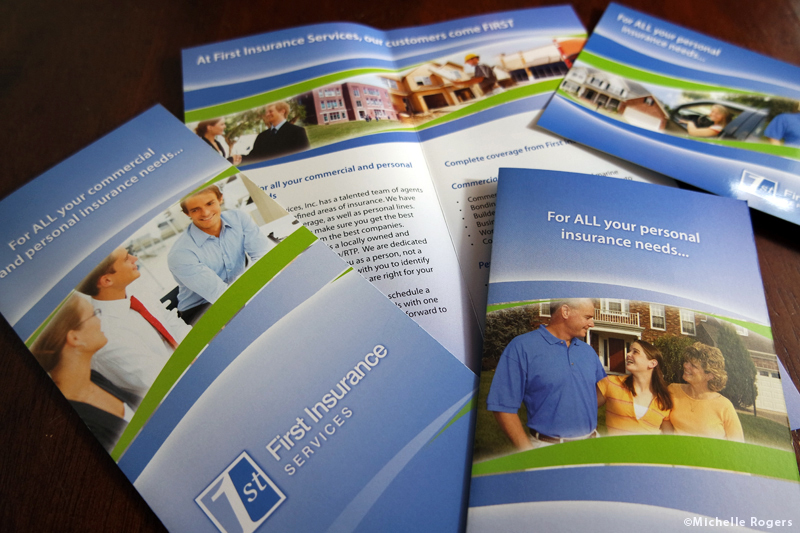 Your brochure also gives you the opportunity to market to your existing clients and constituents. Chances are, there are products and services you offer that they aren’t aware of. 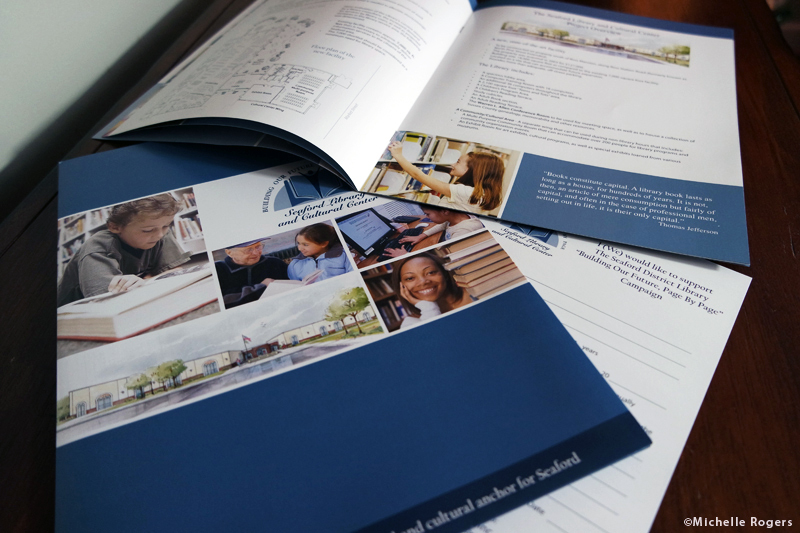 With a beautiful new brochure, you can begin promoting those for a strong fiscal year. Perhaps you are aware of the value of promoting your organization with a professionally-produced publication and have wanted to, but the question you’ve always asked yourself is: How are we going to do this, and more importantly, WHO is going to do it? If you’ve ever tried to create a brochure yourself or thought about it, then you are aware of what a complex job it can be. Writing, editing, photography, graphic design, printing, distribution…what busy professional has the time, expertise or budget to manage all of that? The good news is, you don’t have to! I am an experienced brochure editor and an award-winning graphic designer. I can handle the entire process from A to Z so you don’t have to. My services are tailored to your needs and budget. In addition, location is no barrier to working with me. I work with organizations and business professionals locally, as well as across the country. Your printed brochures will be shipped directly to you. When you work with me to produce your project, you won’t even have to leave your office. So save yourself valuable time and money, and eliminate frustration, by contracting with me for your marketing materials. Contact me today, and let’s get started! Right now is the perfect time to prepare your organization for success with professionally-produced marketing materials! Photo shoot – One local photo shoot by our in-house photographer, to include photos of your building exterior and/or staff, for your brochure (available for clients in North Carolina’s Triangle/Triad area). Digital version of brochure – A web-ready digital version of your new brochure (PDF), so you can email your brochure to prospects and customers or post as a download on your website. Social media post – We’ll create a special graphic and text that you can post on your Facebook, Twitter and/or Instagram pages to promote your new brochure. Two brochures and a postcard for an insurance firm. Services provided: Graphic design, photography of building exterior, printing. 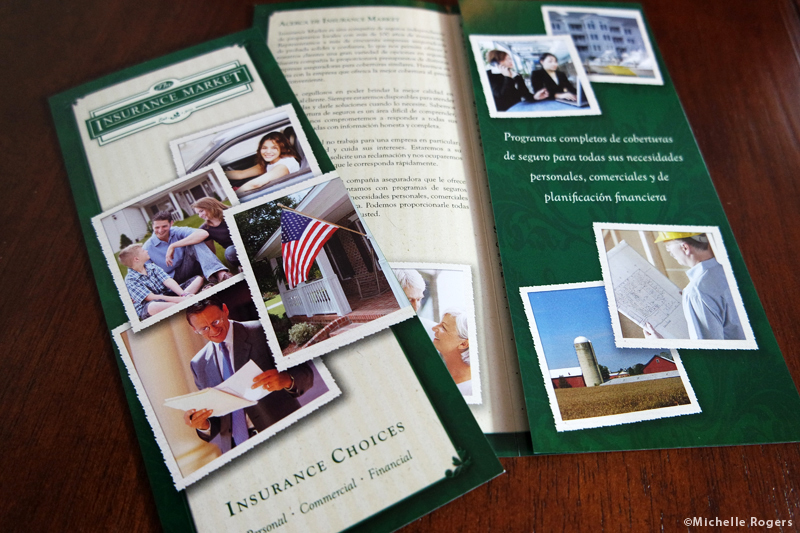 Two brochures for an insurance agency, in English and Spanish. Services provided: Graphic design, logo design, translation, printing. Promotional materials (pocket folder, booklet, response card) for a library’s capital campaign. Services included: Logo design, graphic design and printing. 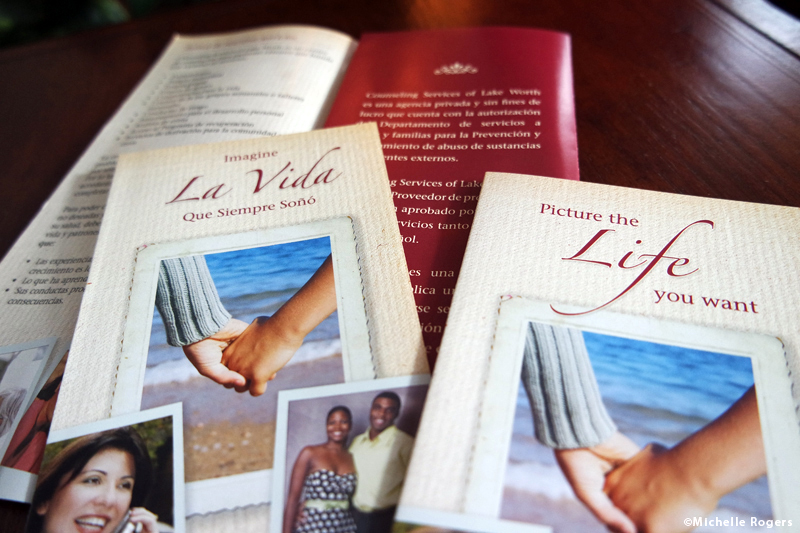 Two brochures for an outpatient counseling center, English and Spanish. Services provided: Writing, translation, graphic design and printing.